Pennsylvania Academy of the Fine Arts, Historic Landmark Building. Image courtesy PAFA. Founded in 1805, the Pennsylvania Academy of the Fine Arts is America's first school and museum of fine arts. A recipient of the National Medal of Arts, PAFA offers undergraduate and graduate programs in the fine arts, innovative exhibitions of historic and contemporary American art, and a world-class collection of American art. PAFA’s esteemed alumni include Mary Cassatt, Njideka Akunyili Crosby, Thomas Eakins, William Glackens, Barkley Hendricks, Alice Neel, Louis Kahn, David Lynch, and Henry Ossawa Tanner. 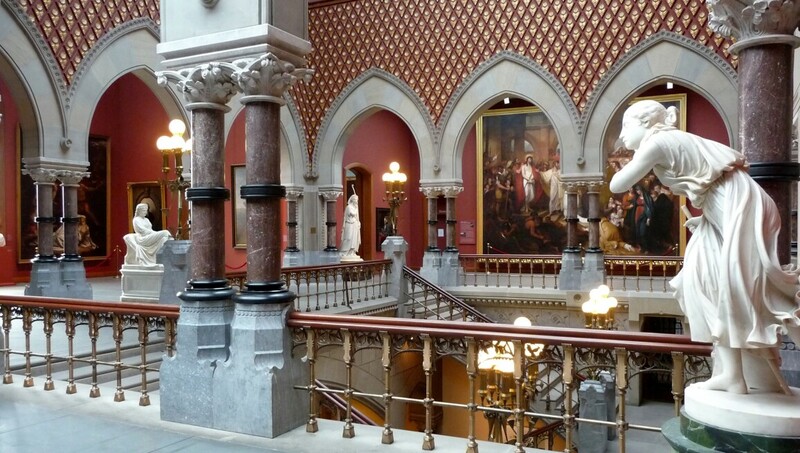 The PAFA Museum is housed in a Frank Furness design erected for the 1876 Centennial.